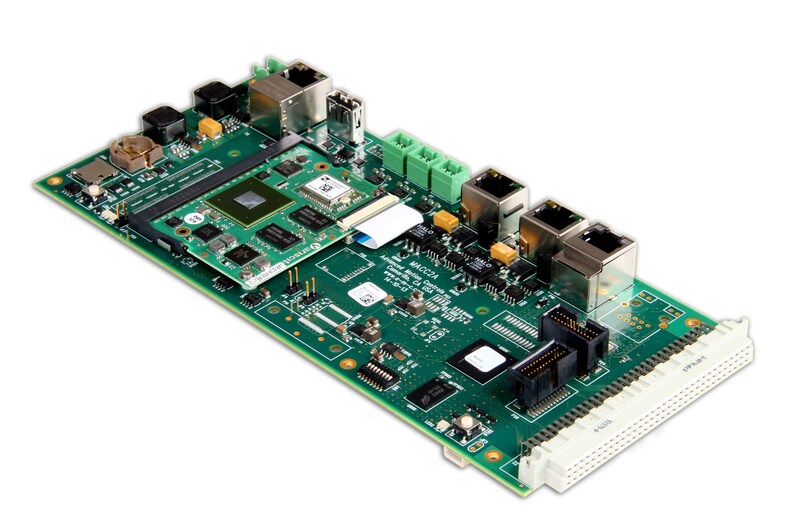 The MACC02 motion automation control card operates from a 24 VDC power supply and can control ADVANCED Motion Controls’ DigiFlex® Performance™ digital servo drives over EtherCAT and CANopen networks. Additionally, the optional plug-in I/O module enables the MACC to control non-networked ADVANCED Motion Controls’ analog or digital drives using traditional commands such as Step & Direction, +/-10V command signals and PWM and direction commands. 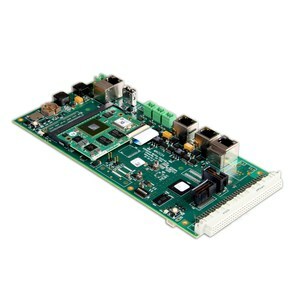 As a stand-alone controller the MACC can take the place of a PC in a control system to reduce cost. The MACC can also be configured to work in conjunction with a PC where the MACC handles the real-time and time-critical processes such as motion control, and the PC handles less time-critical processes such as the HMI. Your First C&M Project Tutorial to program a simple single axis machine and HMI.